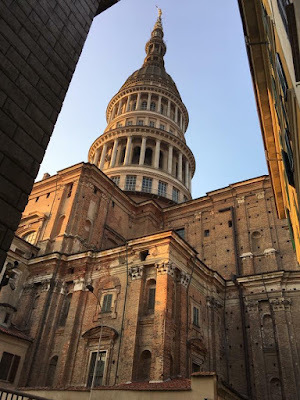 Our Ambrosian correspondent Nicola de’ Grandi recently visited the Piedmontese city of Novara, which is currently celebrating a jubilee year in honor of its first bishop, St Gaudentius, for the 16th centenary of his death. 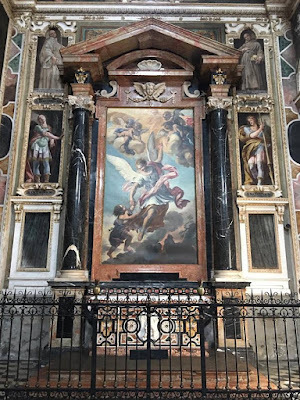 The jubilee began on his feast day, January 22nd, and will end on the same day next year. The See of Novara is said to have been founded at the initiative of St Ambrose. 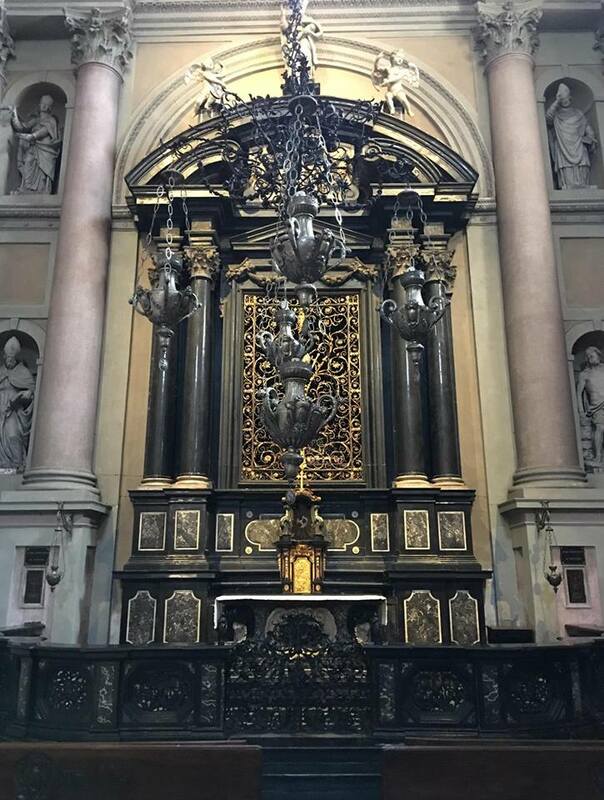 The traditional story recounts that while he was returning from official business in nearby Vercelli, his horses refused to move past Novara, which he took as a sign that he was to stay there. 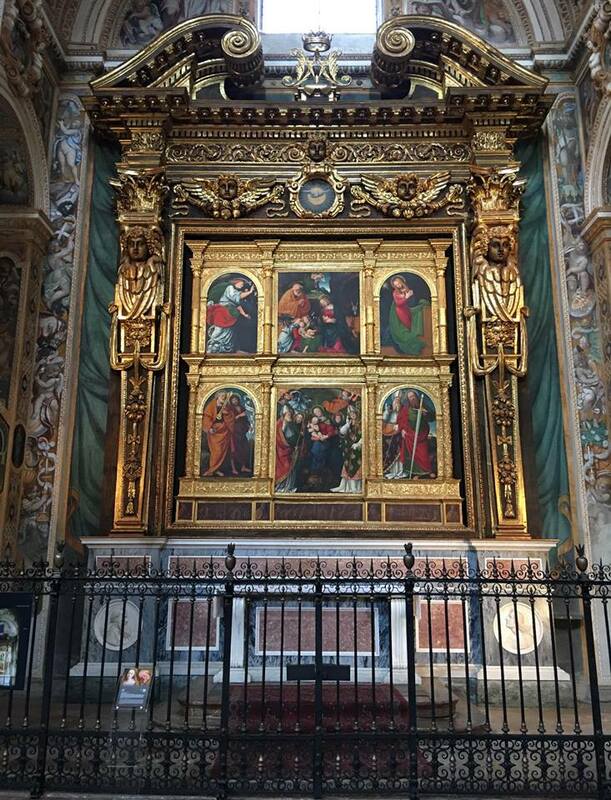 It fell to Gaudentius to receive the Saint as a guest, but he felt somewhat embarrassed for the poor hospitality he had to offer. Going out into his garden, he found a large rosebush in full bloom, and an apple tree rich with fruit, even though it was the middle of the winter. 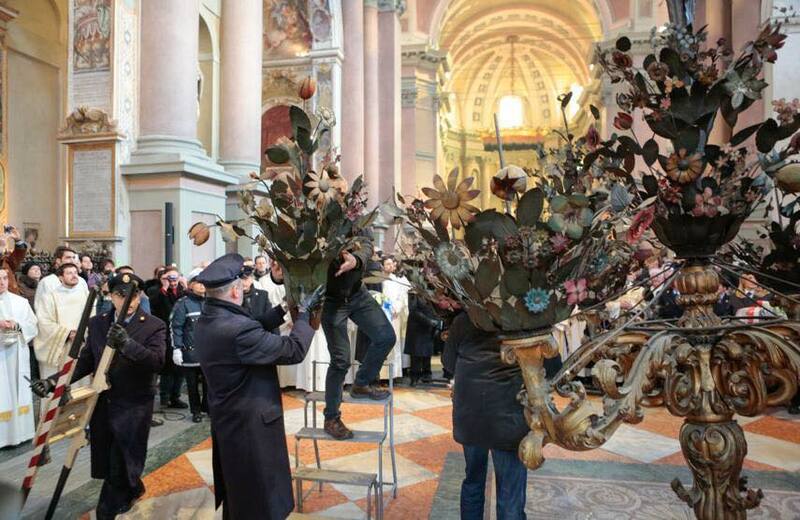 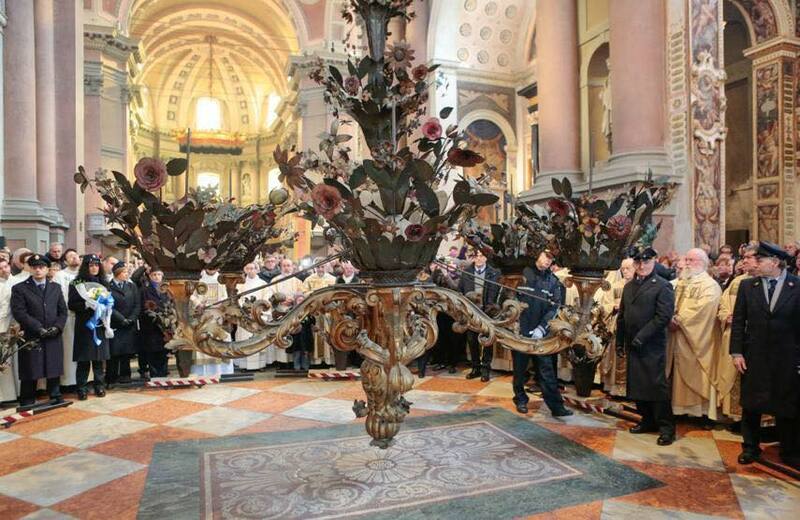 In honor of this miracle, the basilica of St Gaudentius has a large chandelier suspended from the ceiling, which is covered in flowers of painted wrought-iron. 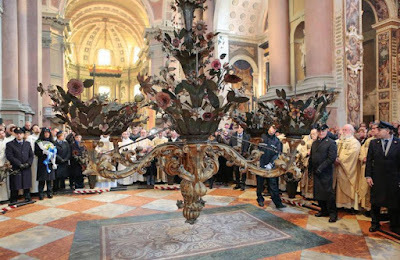 Each year it is lowered for his feast day, and the flowers cleaned at the city’s expense; they are then reblessed by the bishop and put back in place. 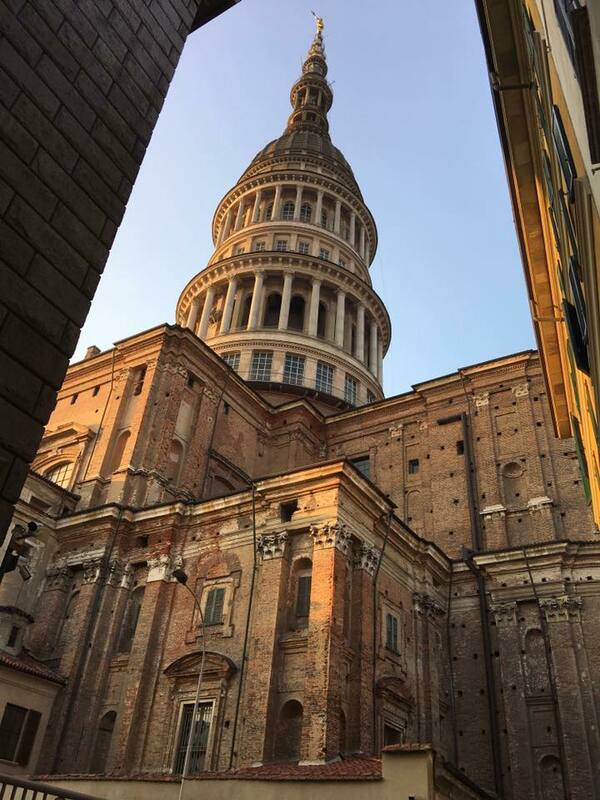 The basilica’s cupola, the city’s most outstanding landmark, was constructed by the architect Alessandro Antonelli from 1844 to 1876, and rises to a height of 396 feet; the statue of Christ at the top is almost 16½ feet tall. 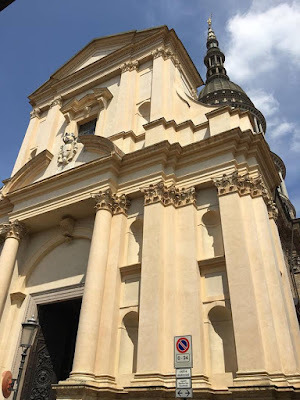 The church to which Antonelli added the cupola was built to replace an older church according to the design of the architect Peregrino Tebaldi, beginning in 1577, but not concluded until 1656. 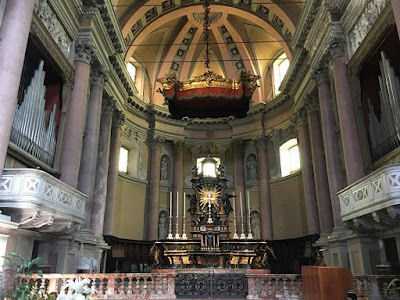 In the right transept of the basilica is the “scurolo” of St Gaudentius, where his relics were installed in 1711. 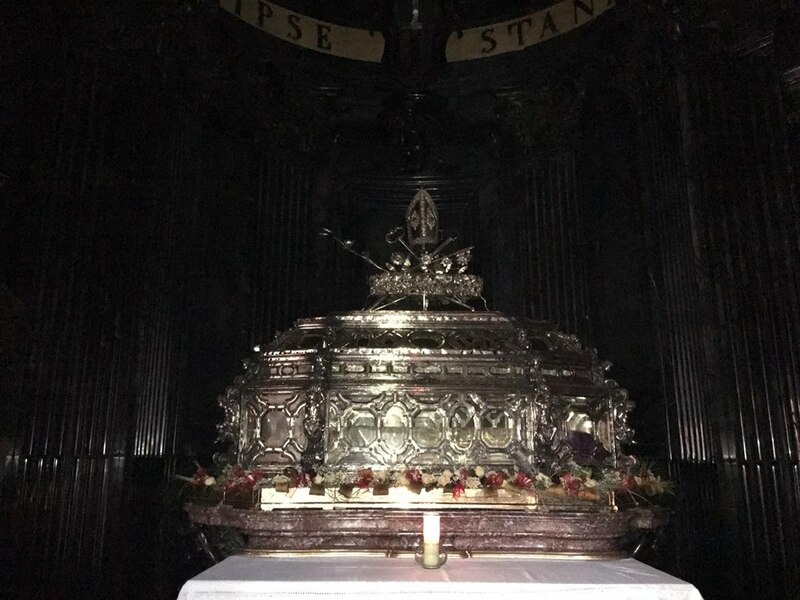 The silver urn containing them seen in the next photograph is behind the grill seen here. 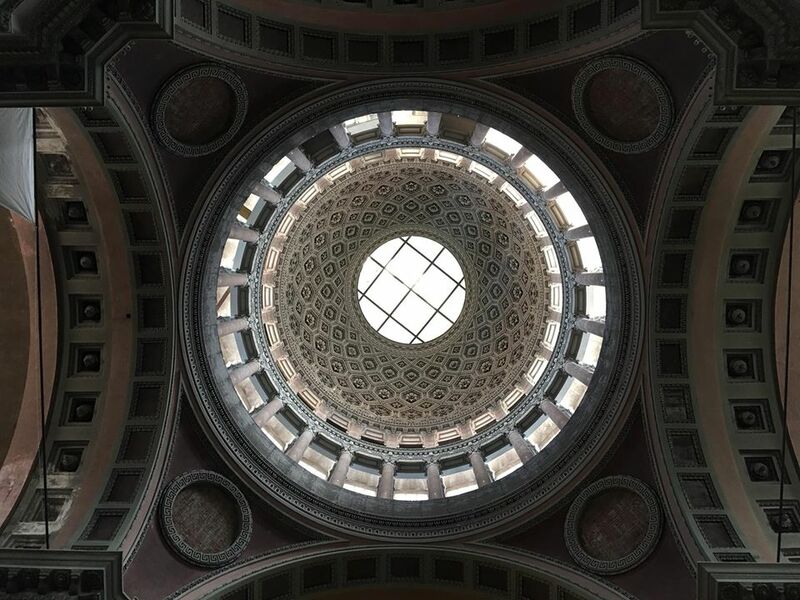 The scurolo has its own dome, seen here from below. The main altar and sanctuary. 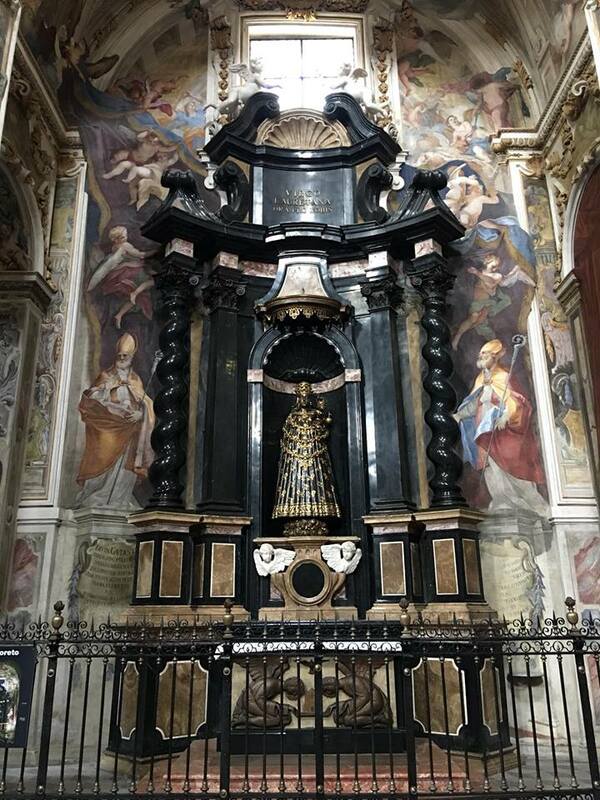 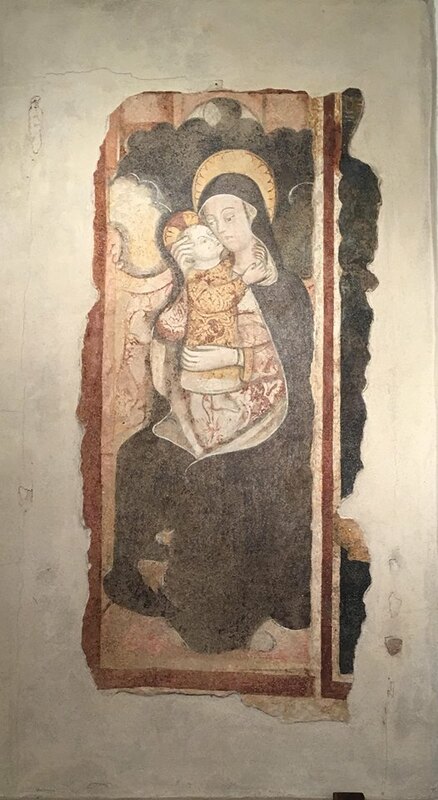 The new basilica was constructed on the site of a church of the early 11th century, dedicated to the Spanish martyr St Vincent, who is extremely popular in the north of Italy. Three chapels of this church were incorporated into the new structure, and the rest of it demolished; this one, dedicated to St George, held the relics of St Gaudentius until the scurolo was completed. The frecoes by Giovanni and Luca de Campo are dated from 1440-83. 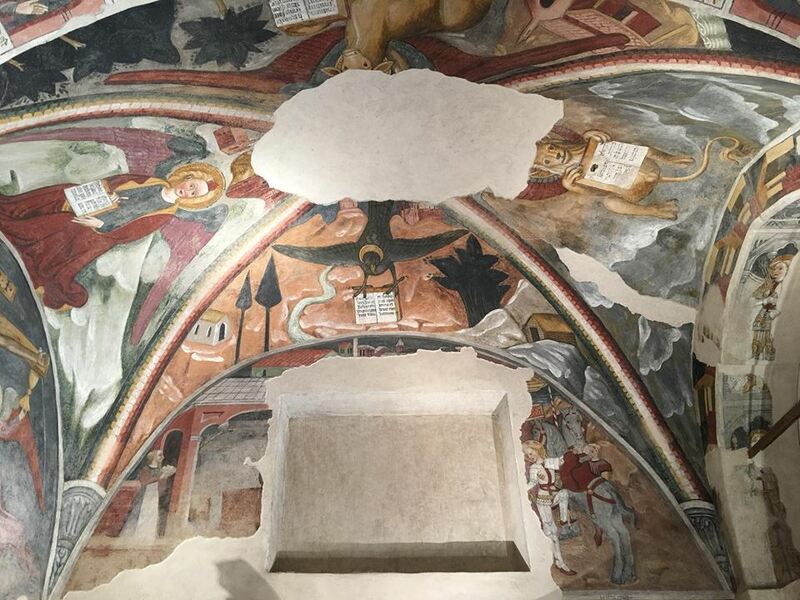 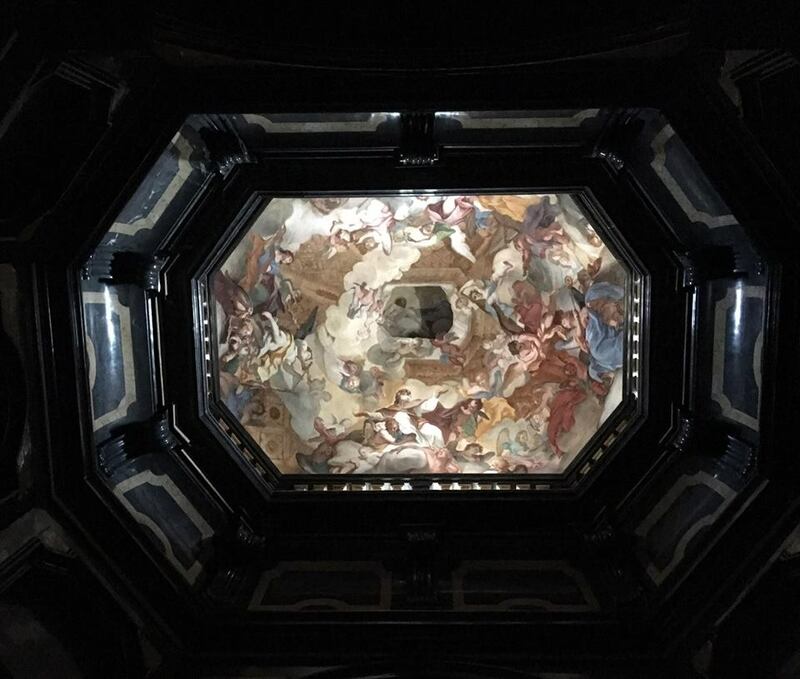 The chapel of the Good Death, seat of a confraternity founded by Bishop Carlo Bascapè in 1612, dedicated to praying for the souls of the faithful departed. The altarpiece of the Deposition from the Cross is by Gulgielmo Caccia; to the left is St Gregory the Great, who wrote a good deal about the necessity of praying for the dead, and to the right, St Odilo, the abbot of Cluny who first instituted All Souls’ Day. 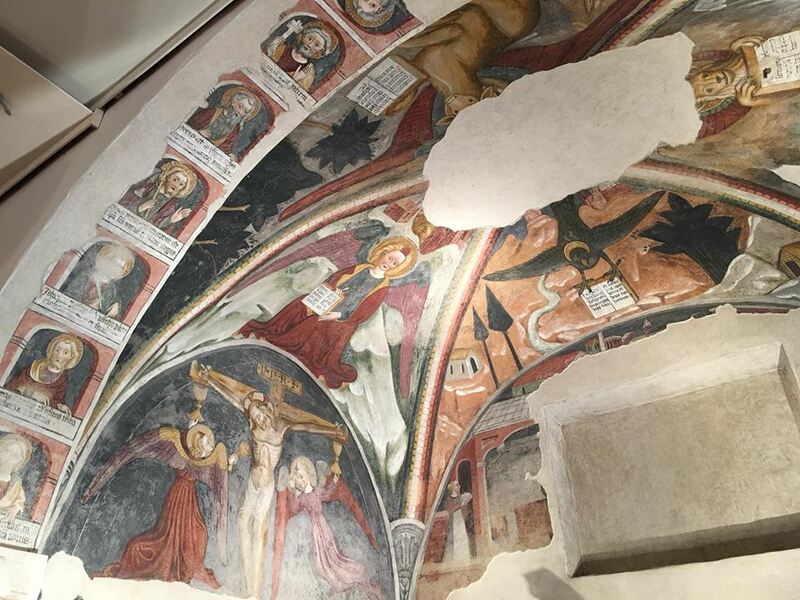 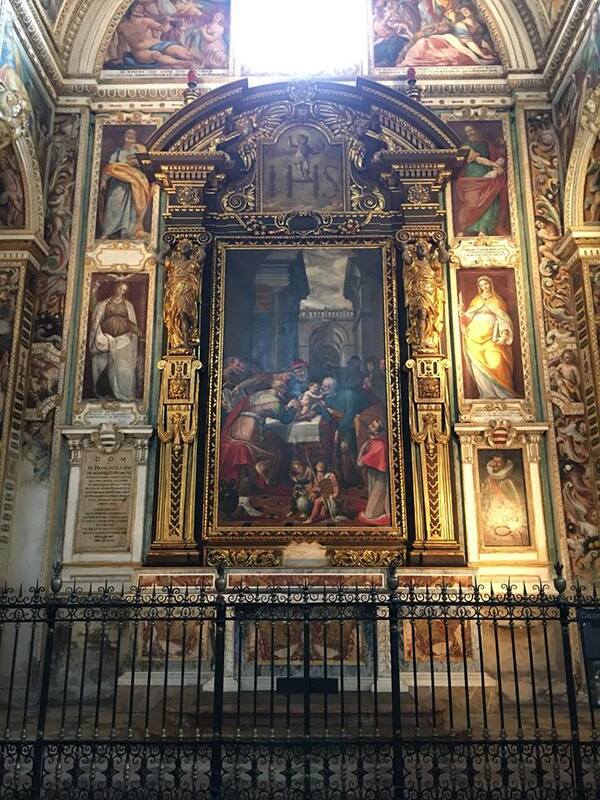 The Chapel of the Nativity, with an altarpiece of the year 1514 by local painter Gaudenzio Ferrari (1471-1546). 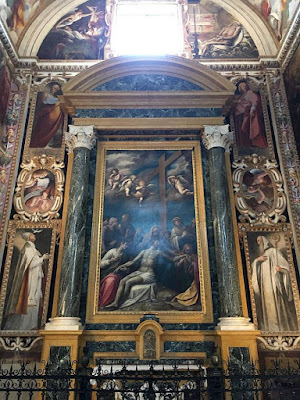 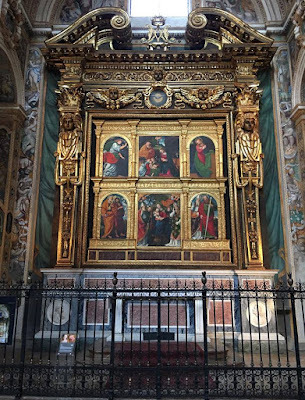 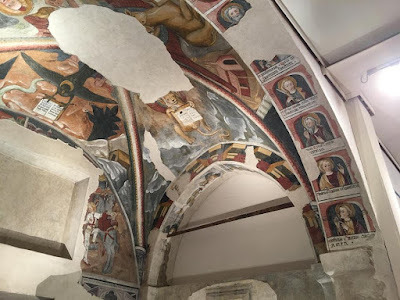 A chapel dedicated to the Circumcision of Christ, with an altarpiece by the brothers Giovanni Battista and Giovanni Mauro della Rovere, known as “i Fiamminghini - the little Flemings”, since their father was born in Antwerp. 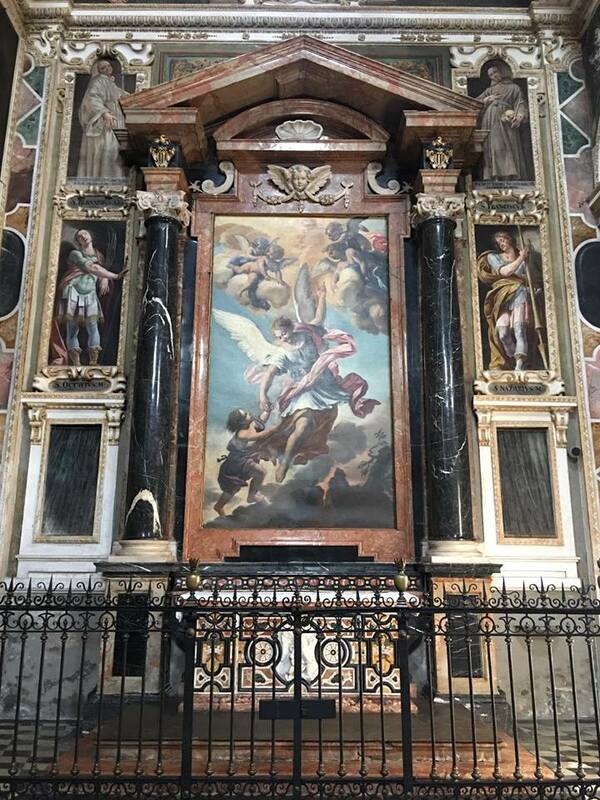 A chapel dedicated to the Guardians Angels, with an altarpiece by Giacinto Brandi (1621-91). 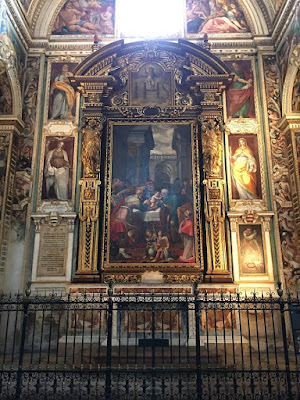 The chapel of the Madonna of Loreto.